George Boole was an English mathematician and the founder of an algebraic tradition in logic. George worked as a schoolmaster and from the year 1849 to 1864, he was a professor of mathematics at Queen’s University in Cork, Ireland. He was not only a mathematical genius, but he was also a fine humanitarian as well. A strong minded person, George was always prepared to engage in bitter arguments with his academic colleagues. He revolutionized logic by applying methodologies from the field of symbolic algebra to logic. Today, his revolutionary advances in maths are fundamental aspects of electronics and computer science. His Boolean Algebra is utilized to design and operate computers as well as other electronic devices. George Boole was born in 1815 in Lincoln, England, into a family of modest means. His father was more of a good friend than a good breadwinner. George’s father was a struggling cobbler whose passion was being a dedicated dilettante in the field of science and technology, one who loved participating in Lincoln Mechanics’ Institution, a community social club promoting discussions, reading, as well as lectures regarding science and technology. In 1834, George’s father became the curator of its library. This passion of learning was inherited by his son, George Boole. With a supportive family and access to books from Sir Edward Bromhead, FRS, who lived near Lincoln, Boole taught himself advanced mathematics and foreign languages. At age 20, he opened his own school. He had to start teaching mathematics, which sparked his passion in the subject. Discontented with the textbooks, he started reading Lagrange and Laplace for ideas. Inspired by their ideas, he wrote his very first mathematical paper on calculus of variations. Boole began to submit his work to the Cambridge Mathematical Journal. Editor Duncan Gregory was impressed with his work and published his papers in the journal. Gregory then suggested that Boole study at Cambridge University, but he could not quit teaching as that was how he supported his family financially. As Gregory suggested, Boole began studying algebra. Soon after, his work was published and awarded. In August of 1849, he worked as a professor of mathematics at Queens College. Within two years, he was named the Dean of Science. Boole’s second work, An Investigation of The Laws of Thought on Which are Founded Mathematical Probabilities and Logic, was published in 1854. This book was an attempt to correct his 1847 book on logic. In his book, he discussed the theoretical possibility of utilizing probability theory to uncover fundamental laws that governed the society by analyzing large quantities of social data. Aside from his work on mathematical theories of logic and probability, Boole also made contributions to the development of calculus. He received numerous honorary degrees and awards. George Boole married Mary Everest, the daughter of George Everest. He encouraged his wife Mary to study at a university. They had five daughters. 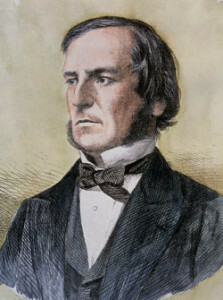 Boole died in 1864 from pneumonia. He went to the college in the rain, lectured, and then returned home which prompted the condition. He is buried in churchyard of St. Michael’s Church of Ireland, Cork.